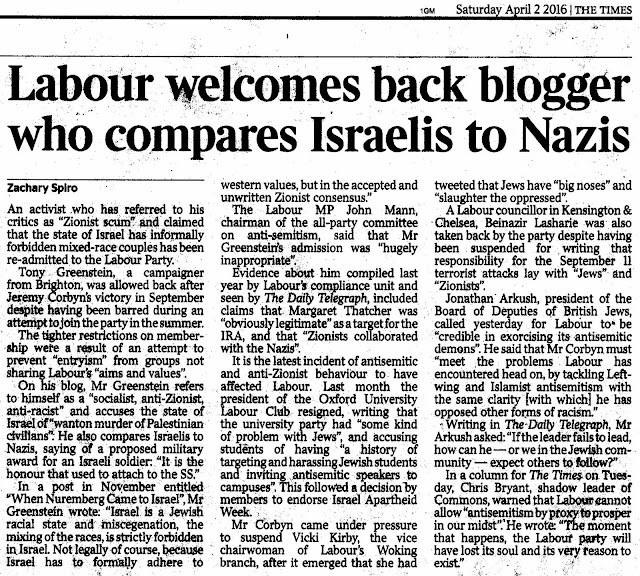 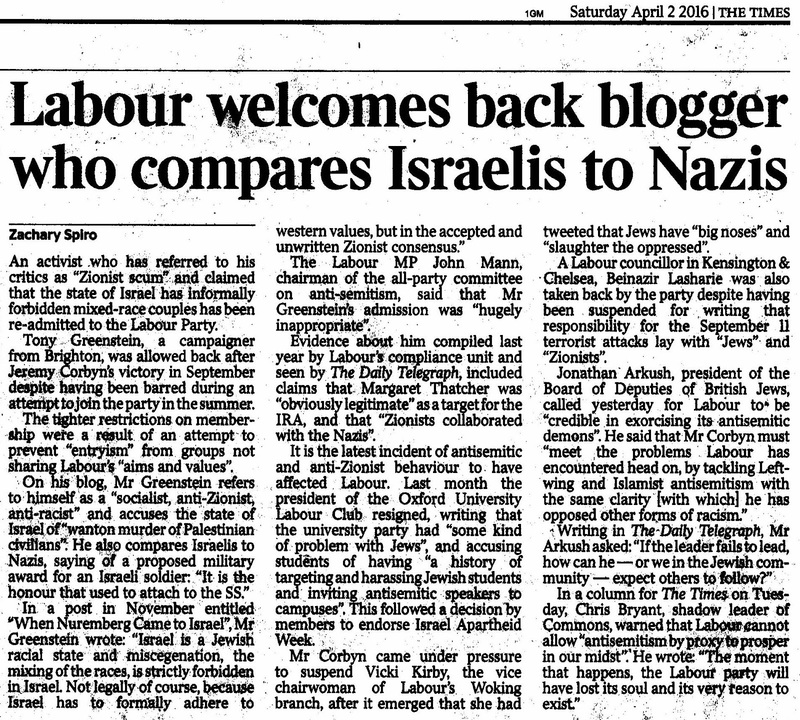 You will be happy to know that The Times too picked up on the Telegraph story regarding the allegations of 'anti-Semitism' made against me. 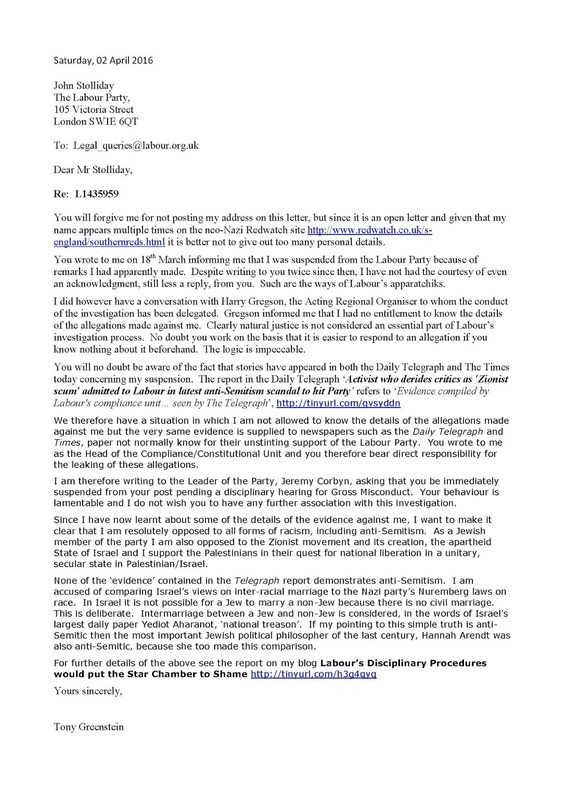 It would appear that Labour's Compliance Unit under John Stolliday directly leaked the information to The Telegraph and The Times then picked up on that. 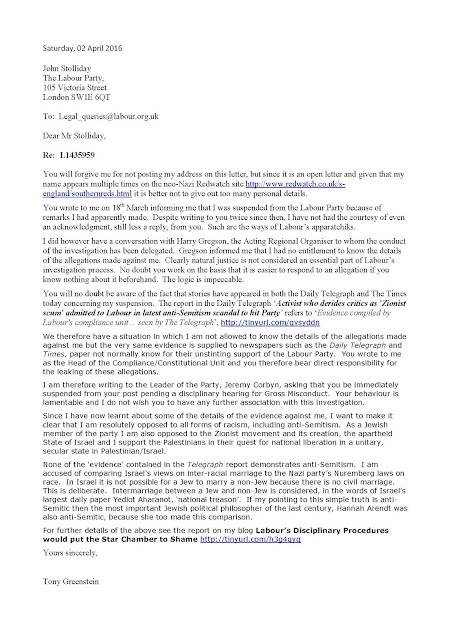 Either way I have written to the said Stolliday informing him that I am requesting the Party that he should be suspended for gross misconduct on suspicion of authorising a leak of the evidence against me, whilst at the same denying me the right to the self-same information.